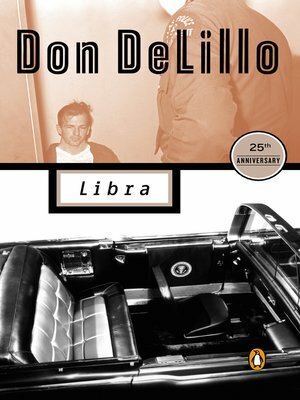 In this powerful, eerily convincing fictional speculation on the assassination of John F. Kennedy, Don DeLillo chronicles Lee Harvey Oswald's odyssey from troubled teenager to a man of precarious stability who imagines himself an agent of history. When "history" presents itself in the form of two disgruntled CIA operatives who decide that an unsuccessful attempt on the life of the president will galvanize the nation against communism, the scales are irrevocably tipped. A gripping, masterful blend of fact and fiction, alive with meticulously portrayed characters both real and created, Libra is a grave, haunting, and brilliant examination of an event that has become an indelible part of the American psyche.